I don't know about you, but by the time new year comes around I'm itching to simplify my life in every way. I always have a clear-out-and-donate spree of clothes and other bits in January, but what about our online clutter? Here's how I've made my life online easier. 1. Unsubscribe from annoying email newsletters. If that company you signed up to hear news from in 2007 sends you emails every week and you don't read any of them. If someone spams you with emails every day. If it's something you were interested in once but you're interests have changed. It's OK, move on. You don't have to hold on to the past. This is especially important if you're trying to cut down on temptation to spend. I've unsubscribed from SO many shop newsletters and it will save me money. 2. Declutter your social media feeds. I had the vapours last week at the thought of cutting back my social media followers as I hate to upset anyone. Instagram particularly had got out of hand for me with over 4000 followers, and I was following about 1600 back and my feed was horrible. I couldn't keep in contact with anyone I wanted to keep tabs on among all the polite reciprocal follows I'd made. If they hadn't posted in 6 months. If they post more than 10 times an hour. (I used to be really bad at posting a LOT of photos to IG, but stopped after someone pointed out how annoying it is, ha). If I came across anything racist, sexist etc in their feeds. I also use the Unfollowers app to help me root out new unfollowers on Twitter and Instagram, but I do it with one eye open. I don't want to see who unfollowed me, I unfollow back to keep my feed in check. I'm on top of Instagram and Twitter followers now, which are my busiest two social media channels. It's a much more pleasant experience for me now I've cut down who I follow. Only follow back people who really inspire you in some way. It's easier to never follow someone at all than it is to follow them then have them wonder what they did to make you unfollow. 3. Edit the blogs you follow. I also unfollowed a lot of blogs. I love makeup, but do I really need to follow 100 beauty bloggers? Ahem, no. I cut it down by a lot. The more beauty bloggers I follow the more makeup I buy, and believe me, I get by all right on my own in that respect. Too well, actually. With regards to plus size bloggers, I broke it down into 2 categories - those who interact with me when I comment on their blogs and/or who comment on my blog, and those who are somewhat aloof but add something to my life. If we don't talk and they don't add something to my life, I let them go. FOMO is a big thing, and I realised that I was following a lot of people so on the one time a year I bump into them at a big event I can say hi and feel like I'm abreast all their news. But why? There are dozens of new plus size bloggers by the week and it's ridic to try to keep up with them all. I keep my circles small and I'm happier for it. 4. Edit your friends list on Facebook. Yes I'm going there. Sometimes we hold on to people for the wrong reasons. Sometimes we haven't even got a reason, it's just a habit. There's this guy on Facebook who does nothing but take the piss out of me every time we interact. Why have I kept him this long? We have mutual friends and I suppose we've been 'friends' online since I've been on Facebook. But he's not a friend if he always nasty, is he? He makes out he's joking, but actually he's a prick. I've just deleted him. Woosah! Beware over-familiar people who act like they know you from the start and feel like they can insult you like an old friend might. Don't put up with it from anyone. Notice when people constantly make digs at you. It might be disguised faintly as praise 'I hate it when you wear X, why don't you wear Y?' I have another person in mind who's never said a kind word to me but has plenty of criticism they share with me often. Sometimes people do it because we let them. Stand firm, call them out on it, and if they don't change, delete and block. 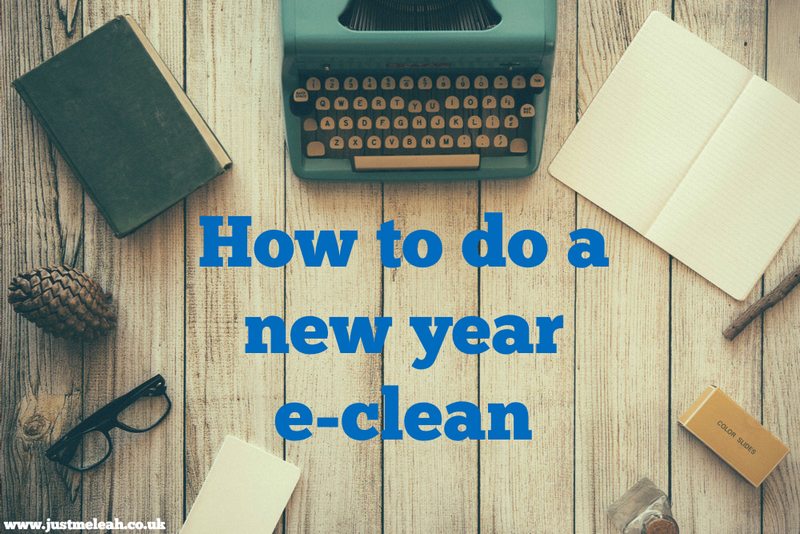 Have you got any tips for cleaning out your life online?